Online gaming and new slots will cause a massive decrease in the Race Horse Development Fund, reducing available purses and endangering jobs. and off-track wagering facilities. It has now been sent to the Senate. Clearly, expanded gaming will drive customers away from racetracks and casinos, resulting in a dramatic reduction of available purse monies. Even worse, these losses are in addition to millions of dollars already being siphoned from the Race Horse Development Fund annually in a shortsighted attempt to cover state budget shortfalls. And, while slots at off-track wagering facilities sounds like a good thing, let's face facts: slots will be in the spotlight, not racing, and horsemen will see no percentage of revenues. Expanded gaming will seriously damage the growing horse racing industry—an industry has created 23,000 jobs and injects millions into local communities across Pennsylvania each and every year. TELL THEM YOU OPPOSE EXPANDED GAMING THAT ENDANGERS THE HORSE RACING INDUSTRY. Need help finding your local elected officials? Click here. 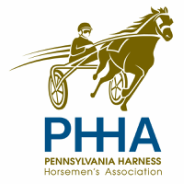 As a Pennsylvania resident and voter, I urge you to OPPOSE all forms of expanded gaming that threaten the Pennsylvania Horse Racing Industry. Expanded gaming in any form is detrimental to a growing industry that has created 23,000 jobs and invests millions into local communities each and every year. It also helps to undermine the property tax relief generated by slot machine revenue. Simply put, expanded gaming is bad for jobs, bad for horse racing and wrong for Pennsylvania.